Kundiman has a robust internship program with positions in Communications, Development, Grant Research & Administration, and Programs. This is a great opportunity to gain hands-on experience with an organization that supports writing communities and to gain experience in the literary arts. We love our interns! Each position offers a $750 stipend with possibility of renewal, and we place our calls online three times a year: July for the fall semester, November for the spring semester, and April for summer. The commitment is 15 hours per week. All internships are conducted remotely on a day-to-day basis, though most require attendance of several events in the New York area. Applications for development, grants, and programs will be open for the summer season, which runs May – August, are open from march 20th – april 7th. Note: We are not accepting applications for a Communications intern this cycle. Former interns with Kundiman staffers. The Communications Intern supports Kundiman's programs by disseminating information through our website, emails, e-blasts, social media channels, brochures, and press releases. The Communications intern reports to the Programs & Communications Manager and to the Executive Director. Candidates must be based in the New York City area to attend meetings and events, but most of the internship will be conducted remotely. Kundiman is seeking a Development intern. This is a great opportunity to gain hands-on experience with an organization that supports writing communities and the literary arts. The Development intern connects Kundiman to individual and institutional supporters, which is vital to the sustainability of Kundiman initiatives. Candidates must be based in the New York City or San Francisco area and will report to the Development Manager. Internships are conducted remotely, but generally require the attendance of events and/or meetings in the SF or NYC area. The Grants Research and Administration intern helps research, organize, and support tracking systems for Kundiman's government and foundation grant application. The Grants Research and Administration intern works 15 hours a week and reports to the Grants Manager. The Programs intern helps to organize readings, workshops, and public events that develop Asian American literary culture. They report to the Programs & Communications Manager and must be based within commuting distance from NYC. While most of the internship will be conducted remotely, the Programs Intern must be able to attend the bulk of events in the NYC area. "It feels good to congratulate somebody on a wonderful achievement every day. This is one lesson I learned during my time with Kundiman. The staff emphasized that we were not just promoting Kundiman fellows' work, but celebrating it, celebrating them and their creativity and the ways their voice contributes uniquely to the chorus of literature. The fact that I was able to congratulate someone every day as I contributed to Kundiman's social media, that every day a Kundiman fellow was recognized somewhere for writing another amazing piece, is a testament to the success of Kundiman's model of community, generosity, inclusion, and courage in cultivating artists who look to higher ideals and are critical of the ways we don't reach them. Having been a part of this community, I feel confident that Kundiman will continue to be successful in closing gaps in representation in the arts and society by uplifting Asian American voices." "I hadn't applied for an internship in Development originally, but I took to it quickly, my background in the sciences having introduced me to the small joys of finally figuring out the tricks to navigating a cumbersome database or finally closing out a spreadsheet. Really though, it was Kundiman's laser focus on people and community that defined my time here. Meetings never started with ‘We're very busy today, so let's get down to brass tacks,’ but instead with conversations about our reading, writing, cooking, or whatever other creative endeavors we might have been engaged in. Emphasis was always placed on treating people like friends in every interaction, not to maximize chances of extracting a donation, but because they are friends–friends of Kundiman, of everyone Kundiman serves, and of its mission. That mission has been stated in many ways, but the one that has stuck with me is to ‘promote social justice through representation in art.’ Kundiman's support and amplification of Asian American voices, commitment to the possibility of a more equitable, thoughtful, and caring society, and conviction that art and activism can make it reality are vital to American cultural life. I was glad I could be a small part of Kundiman's efforts these past few months." 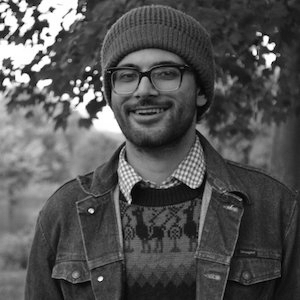 "Interning with Kundiman reignited my love for literature and writing. I felt lucky to attend and assist readings filled with so much camaraderie, eloquence, and poignancy. Each thrilling night I came home with a burning desire to write and read. I was also invigorated while reading the works of fellows, featured readers, and teachers that I needed to excerpt for social media. My TBR is dangerously and incredibly lush now. I knew that Kundiman had a big heart, but I had no idea how truly all-encompassing their support, warmth, and diligence is, as demonstrated foremost by the staff. From the start, we were told to encourage and be sincerely warm towards our fellows and community, and I took tremendous joy interacting so positively online and off. In return, the staff and the wider community have always made me feel supported, necessary, and commended. My writing and social media skills have vastly improved under their guidance, but what I’m most grateful for is the passion they helped instill in me to keep writing, reading, and to remain an active participant of this wonderful community. All in all, it was nothing short of a dream internship where I got to grow to as a reader, writer, and as a person, while discovering so many brilliant wordsmiths. Kundiman doesn’t just nurture their fellows; they nurtured me as well." “My internship at Kundiman has nurtured me both as a professional and as a person. I have learned how to develop lasting and fruitful relationships between an organization and its supporters by connecting to the whole human being, and caring about our donors as people. This care is extended to the workplace – never have I felt so welcomed in a space as I have at Kundiman. They focus as much on teaching development skills as they do on nurturing your individual talents for the non-profit sphere. The mentorship I received at Kundiman has boosted my confidence in my professional abilities and has connected me to a supportive network of people in the field that will last far past my tenure as Development Intern." "My work for Kundiman brought me into a community filled with thoughtful, caring, and purposeful individuals. Whenever I attended a reading or workshop as part of my duties, I would find myself moved not only by the profundity of the art that was being voiced, but by the warmth of the people giving voice to the art. Kundiman's community is deeply joyful: there is a widespread and genuine eagerness to not only welcome newcomers, but to uplift them, to celebrate their efforts and accomplishments, and to provide guidance and comfort as needed. 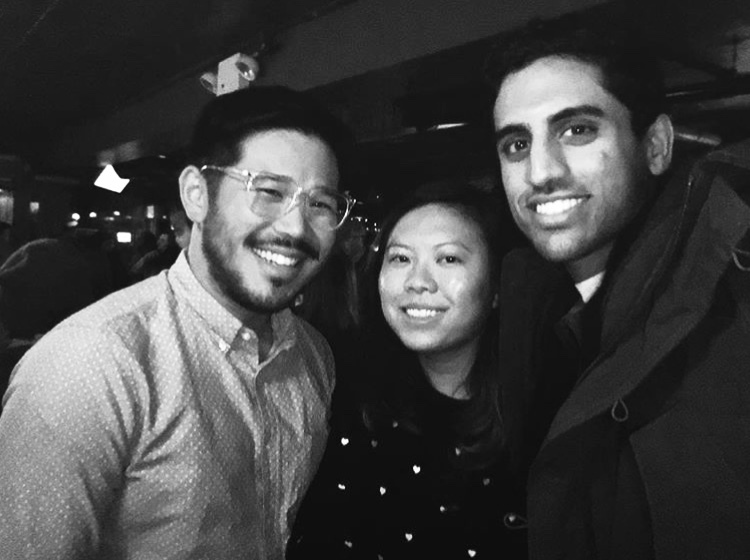 From stalwart protest, to rich discussions of cross-community solidarity, to hilarious fusions of karaoke and poetry, Kundiman and its community remain steadfast to their social mission of raising Asian American voices and to their personal mission of making everyone feel valued. That well-balanced dedication is something that I expect to find myself reflecting on for years to come. In that way, I think that my time at Kundiman has been every measure as rewarding as it has been changing." "As an intern at Kundiman, I discovered a staff and community that was beyond eager to support my growth, development, as a writer, as a grant-writer, and simply as a human being! It was a great space to be in as someone trying to figure out next steps in my life. Here are some of the things the Kundiman community supported me with during my time as an intern: pointers on writing workshops I could take part in NYC, coaching time with grant writers, the opportunity to attend an Asian American caucus at the AWP conference, a plethora of retreat and residencies to apply to for free, Asian American literature recommendations, and much more!" "Being able to find and be a part of the extensive network of Asian American poets and authors was so much fun this past spring. I love working with a small, welcoming staff who all believe in the same cause. I never knew this community existed, and found it so heartwarming to see how the Kundi-fam worked together to help promote, congratulate, and work with one another. Kundiman is an amazing resource for writers and the community, and I'm glad I was able to help contribute to it in some small way." "I came to Kundiman after working at a non-profit also dedicated to Asian American stories, and so I arrived with deep care for the cause. As an intern, I learned about managing a donor pool and the necessity of development work for a non-profit. I came to understand the importance of cultivation in the present and projection towards the future. What I enjoyed most was seeing how Kundiman was, in every sense of the word, a community — the way it would not only mobilize to raise for financial campaigns but also support its members mentally and emotionally. I saw this firsthand at the annual benefit which I was able to staff. The tangible sense of family that Kundiman fosters is both necessary and powerful, and being part of it felt like coming home." "It was such an honor to be a small part of Kundiman's vibrant community this fall. I feel like I have a deeper understanding of what goes into the various aspects of literary arts management, even beyond communications! Working with such a small staff in a virtual office was an amazing learning opportunity, and the collaborative nature of the internship grew me both personally and professionally. Most of all, Kundiman taught me the importance and the incredible power of community. I'm so grateful to have had this opportunity." "Interning for Kundiman has been a great way for me to learn new things and be supported by such a diverse, nurturing, and wonderful community."